Claim: Millennials are lazy and entitled narcissists. They take for granted what previous generations did for them. Fact: Millennials are maturing into what’s likely the most difficult US economy in which to earn a living wage since pre-New Deal times. Baby boomers for example matured into an economy with more affordable/free college, and quicker access to a living wage that rarely even required higher education. 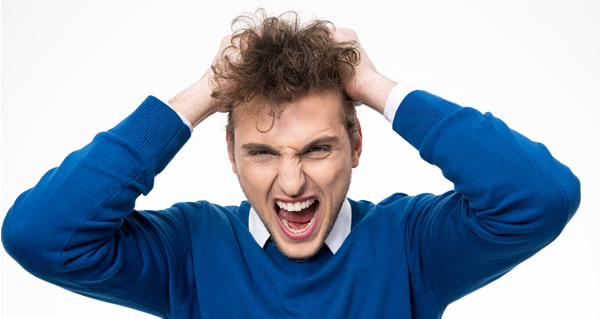 There appears to be a growing belief that millennials are an entitled group. This is expressed in various internet memes including a video which recently went viral. Many of the claims being made are difficult to measure and based on spurious correlations (ie. the fact some millennials say “BAE”). 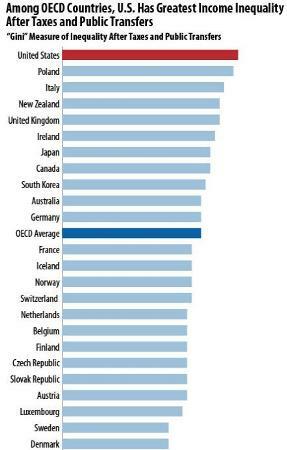 Empirically however, there do appear to be ways to measure entitlements by generation….quite literally in fact. For example, we can measure the growth of entitlement spending, college affordability, a generation’s access to a living wage, etc. When we compare millennials to baby boomers, it’s clear that the latter had much quicker access to the economic rewards that the world’s wealthiest nation can provide. Millennials have a much longer, more difficult, and less stable road to attaining a living wage. The point here by the way, is not to argue that baby boomers were themselves entitled, but to compare the economic realities of these two generations (one of which is constantly labeled as entitled, the other of which is generally regarded as a hard working generation that toiled endlessly under the sun to leave a goldmine which their entitled descendants are wasting). As the debate over a potential minimum wage increase heats up, social media is awash with memes depicting lower wage earners as non-productive sloths demanding more money for performing work portrayed as menial. What’s overlooked here is that that this “menial work” once paid a living wage. 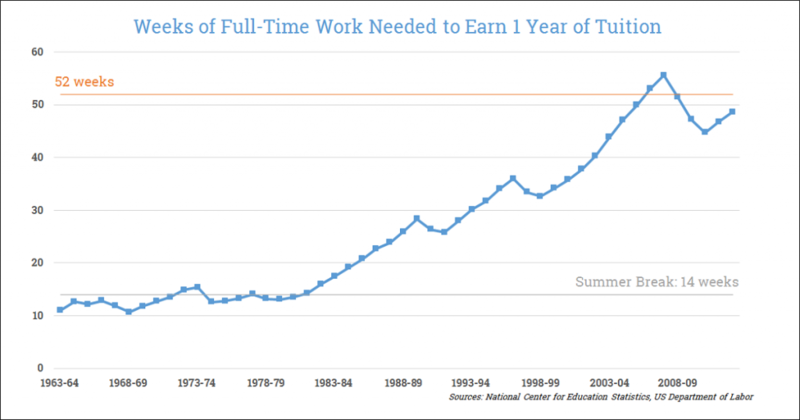 The sort of work many baby boomers were performing and earning a living wage are jobs that today, pay little more (if at all) above a minimum wage (and its growing increasingly difficult to move beyond a minimum wage job). In other words, baby boomers had direct and quick access to living wage-earning jobs. By contrast, millennials looking for a path to an eventual living wage that doesn’t require indentured servitude via student loan are responded to with condescending memes accusing them of having an entitlement mentality. Baby boomers were enjoying a time when economic gains were being distributed more equitably. 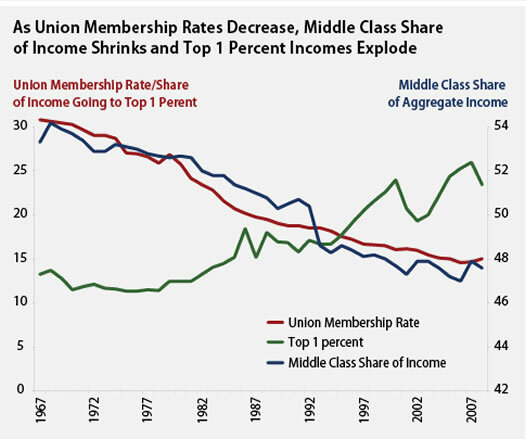 Relative to today, less of the economic gains were going to the top 1% and more of it was being distributed among the middle and lower earners. It should be noted that the above graph understates the growing disparity because it pertains to households as opposed to individuals. This hides the fact that double income households have increased (single income households were more common when living wages were more attainable). In today’s political climate, any call for an increase on a tax on the wealthy is seen an effort to punish the rich and bestow freebies upon unproductive individuals.. 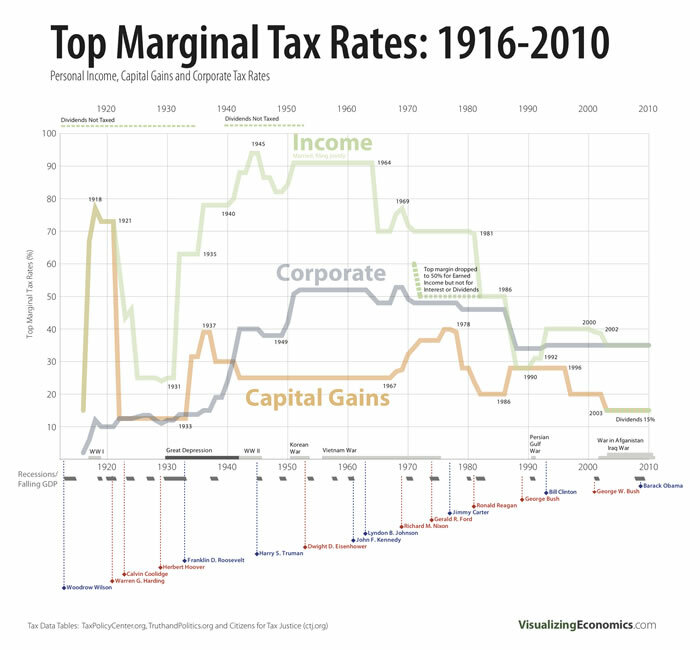 However, baby boomers grew up in an economy with much higher tax rates on the wealthy (a top marginal tax rate above 90%!, which is unthinkable in today’s political climate), on corporations and on capital gains. 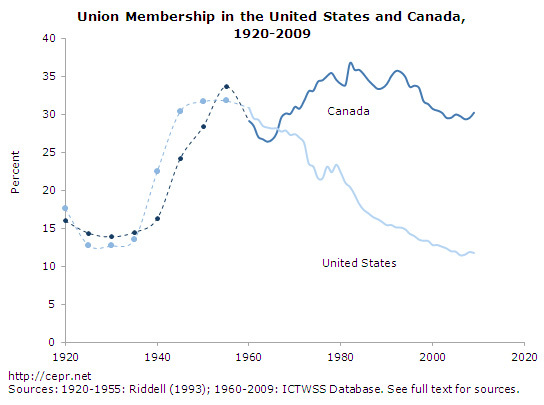 Unionization rates were also far higher, as 1/3 of the economy was unionized (this is still the case in Canada). The popularity of Bernie’s call for free (or at least affordable) tuition is also treated with as another millennial entitlement. But it’s essentially what baby boomers had access to. It was once possible to save up for a year’s university tuition by working for the summer. Those days are long gone. And even the costs for community college, often seen as the alternative for low income households has dramatically increased. 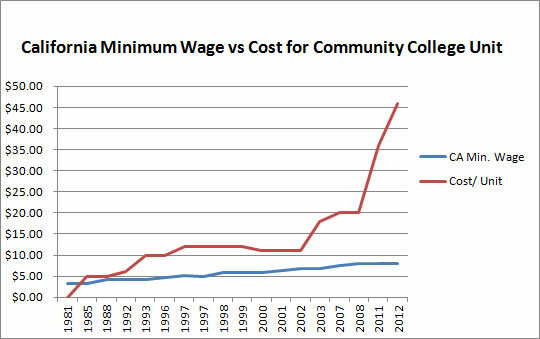 In California, community college was free until the 80’s. Since then, costs per unit have dramatically increased. 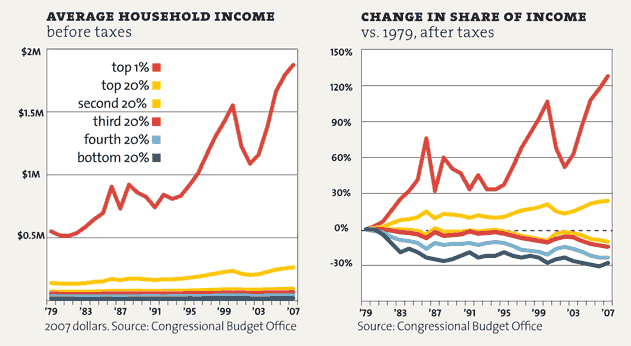 It’s worth pointing out that the growth in income disparity has been largely specific to the United States. 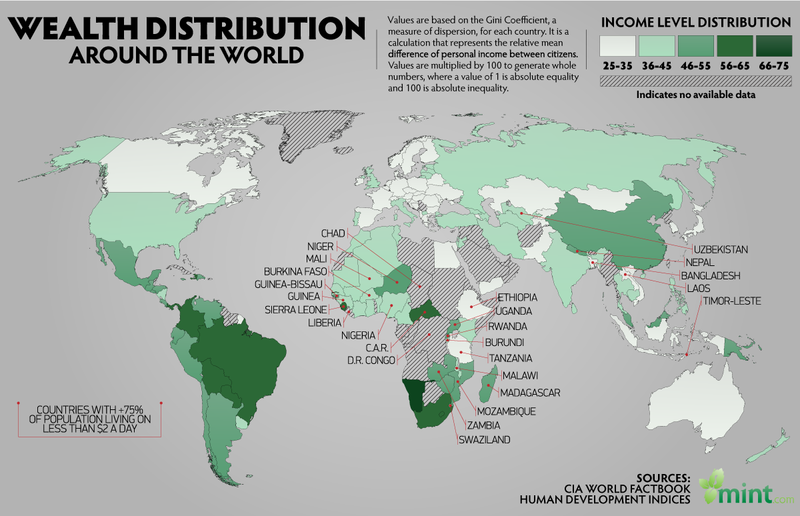 Other advanced countries haven’t experienced the same levels of wealth inequality and poverty. The point here is that there is little evidence that this has been an inevitable consequence of globalization and automation given that other advanced nations have also had to deal with these factors. Economics aside, the logic behind the “millennial entitlement” meme is questionable at best, full of logical fallacies and unsupported assumptions. 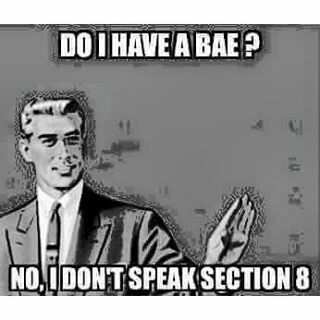 It should be obvious that not every millennial uses the ‘word’ bae. In fact, there exists a significant millennial memetic backlash against such use of the word (and other words of this nature). An intellectually honest analysis of how this word squares with the characteristics of millennials would take into account the harsh backlash in addition to its use. What’s more is, the ramifications of words like these should be weighed against the use of words like n***er, f***ot and other words previous generations used in order to draw a comparison between generations. There is the argument millennials grew up receiving medals just for participating, and that this has made them soft and unable to deal with the real world. The correlation is spurious at best. Unless every medal says “1st place” then the claim is useless as there is a clear difference in rewards. Anyone who’s ever competed knows that an “honorable mention” hardly feels like a reward, and that the true reward for winning is the knowledge that you won (and likewise, dilemma for losing is knowing that you lost, not that you didn’t receive a token object). The arguments that millennials somehow have it easier don’t appear to have much merit and the facts indicate quite the opposite. In fact, the attempt to explain away the growing prevalence of low-paying jobs as the result of a growing entitlement mentality only shifts focus away from the actual causes. As the economic gains continue to coalesce at the top, middle earners are being tricked into falsely accusing lower income earners for the growing disparity between median wages and rising costs of living. Millennials have become a convenient scapegoat in this ongoing distraction. Entitled Millennial Workers of the World, Unite!